A district judge has blocked a bid to launch a private prosecution against entertainer Michael Barrymore following the death of a 31-year-old man. Stuart Lubbock, from Harlow, Essex, was found dead in a swimming pool at the star's former home in March 2001. An attempt by a former solicitor to bring a private independent prosecution alleging drug offences and assault was blocked at Southend Magistrates' Court. The judge on Friday refused action on grounds of insufficient evidence. The decision was announced by the former solicitor Tony Bennett, who also lives in Harlow, following a private hearing. Mr Bennett said he had been acting independently of the Lubbock family but had their support. Mr Lubbock's father Terry said after the hearing: "I'm disappointed but one suffers from seeking justice and we will still carry on. "The next thing is to get Michael Barrymore to say how the injuries Stuart suffered occurred." Mr Bennett added: "The application was refused for a number of reasons. I felt that we had grounds to launch a private prosecution but the judge took a different view. "I'm not sure what other legal avenues are open now unless some of the people that were in Mr Barrymore's house the night Mr Lubbock died come forward and give evidence about what went on. Then the case could be re-opened." A spokeswoman for Essex Police said: "The case has never been closed. It remains open. We are in regular contact with the Lubbock family and if we receive any new information or evidence, we would pursue that. 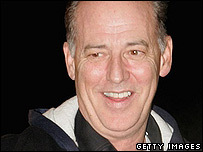 "Michael Barrymore was cautioned for drugs offences following our investigation." Mr Bennett attempted to serve papers relating to the private prosecution on Michael Barrymore in January while he was appearing on the television programme Celebrity Big Brother at Elstree Studios in Hertfordshire. Executives at programme makers Channel 4 refused to accept them and brought the case before Epping magistrates. They decided that a district judge should assess the case once Mr Barrymore's lawyers had time to examine the papers. This resulted in the decision made on Friday by the district judge at Southend. Mr Barrymore said in a statement delivered through his spokeswoman Chrissie Smith: "Mr Bennett's motivation to seek the truth as to how Mr Stuart Lubbock received the injuries to his body is absolutely right. "I remain totally committed, as I always have been, to continue to pursue the truth. "Allegations about drugs on that night have always been a complete irrelevance as to how Stuart Lubbock suffered those injuries. "The court held Mr Bennett's misguided application to prosecute me for drugs offences was an abuse of process."